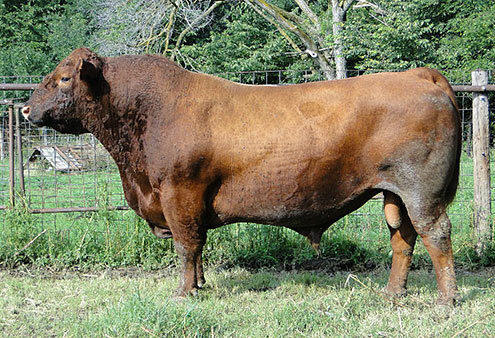 Sandbur Ridge Red Angus is owned and operated by Ross and Dani Knott at Petersburg, Nebraska. We are located at the break between the great farmland of Northeast Nebraska and the Sandhills grasslands. This has allowed us to develop a cow herd that easily adapts to a wide variety of grasses, crops residues, and varying stocking rates. 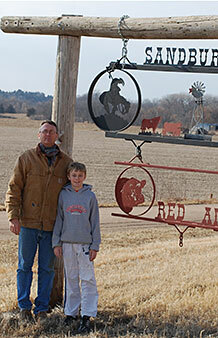 We began our Red Angus operation in the fall of 1997 and have grown to 260 head of purebred 1A Red Angus cows. Our selection has been focused on wide muzzled, deep bodied; structurally correct females, with longevity and fertility built into all of our offspring. We currently have several cows in production that are in excess of 10 years of age. 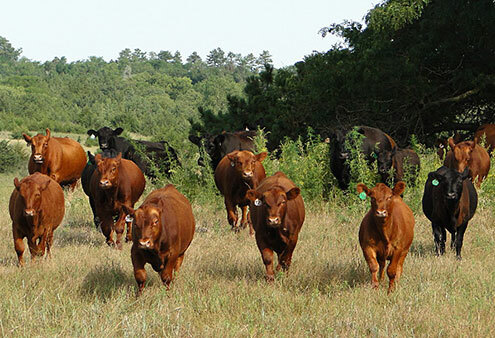 As our operation considers the direction of the livestock industry, I feel the need to continue to emphasize moderate framed, forage converting, high fertility, problem free cattle, with soft dispositions. 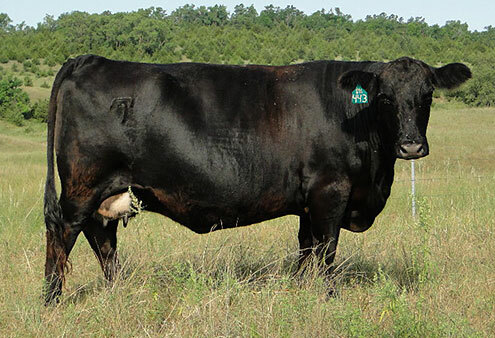 Our goal is to offer the commercial cattle industry bulls that have these traits bred into them for generations. Dani and I would like to thank you for your interest in our program and we invite you to give us a call or stop in anytime.